This week and next week, my blog posts are coming a bit early (I usually post new blogs on Wednesday on jmdesantis.com and Tuesday on chadhiyana.com–though the latter may officially change), as next Monday, July 13th, is the “scheduled” release date for issue one of Chadhiyana: In the Company of Shadows. 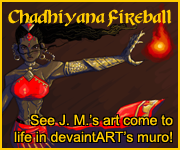 I put scheduled in quotations, because if you’ve been keeping up with the recent Chadhiyana news, you know that my publisher (Rosarium Publishing) is actually ahead of schedule with the book’s release. 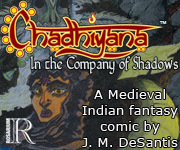 On Friday I posted that Rosarium surprised me with news that they decided not only to add IndyPlanet to the distributors for issue one of Chadhiyana, but also that it was already up on the store that day (indyplanet.com/front/product/124832/)! This is fantastic news for many reasons (which you can read in Friday’s post: chadhiyana.com/2015/07/breaking-chadhiyana-news/). 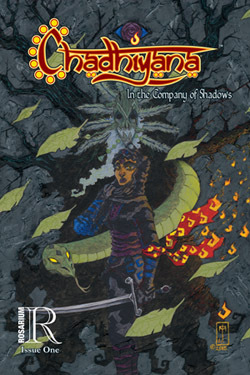 Though one of the reasons not mentioned in the post is that if for any reason there is a delay in the release of Chadhiyana #1 on Comixology or Peep Games Comix (the two distributors I knew Rosarium Publishing was already planning to use), there will still be a seller for the first issue on the “release day” (never mind that readers can actually buy the book “early”). In a sort of tongue-in-cheek way, I’m still going to treat July 13th as the release date–especially for anyone who has that date in their mind–though really, the book came out a full ten days early. Of course, if you prefer to purchase your comics from Comixology or Peep Games Comix, you could always wait for the book to be listed on those sites (which hopefully will happen on the 13th as planned–though sometimes, I’ve been told, books do get delayed on their end), or you could start reading the first issue now, before the “official” release! The choice is yours. Though, as I wrote on Friday, the inclusion of IndyPlanet does mean print copies of the book will be for sale. And they do look lovely–my publisher sent me a few, and I’m very happy with how they turned out. So, the countdown draws to a close for the “release” of issue one on July 13th. Or, you could just forget about all of that and click over to IndyPlanet.com to order an “early” copy now. See you all in a week for the “official” release. Cheers! The thumbs up-down is fine, but what's up with the vanishing comtnems?Once a certain point is reached, replies to comments make things vanish.Hardly a way to build community.